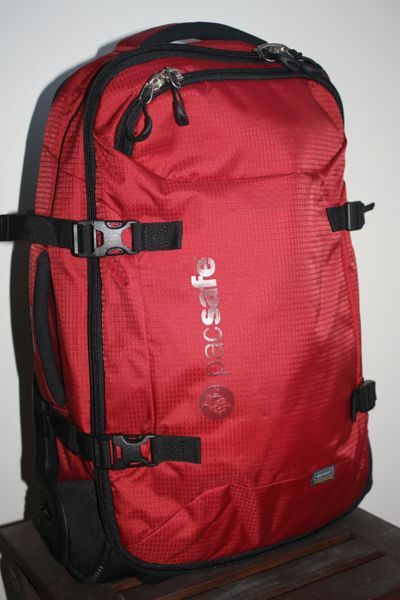 Last week, I shared some suggestions you should consider before you travel. Now for the suggestions for your travels in France, Spain, or Italy…or anywhere for that matter. As the title states, this week’s post is: “Don’t Make The Mistakes I Did” or “Traffice Fines In France”. In the old days, driving in Europe was a free for all. The limit was 130 km/hr in France and everyone went over it. Not anymore. There is photo radar everywhere and on my GPS the notification kept appearing to warn me. Unfortunately, I did not pay enough attention. I am expecting ONE or TWO speeding tickets. I have received two charges from the two car rental companies: 20 Euro charge from Hertz and a 30 Euro charge from Europcar. Both state, “Traffic fine…..administrative charge”. What this means is that if you have an infraction the government requests the driver/renter information so that they can send the driver (me) a notice of what I did wrong. 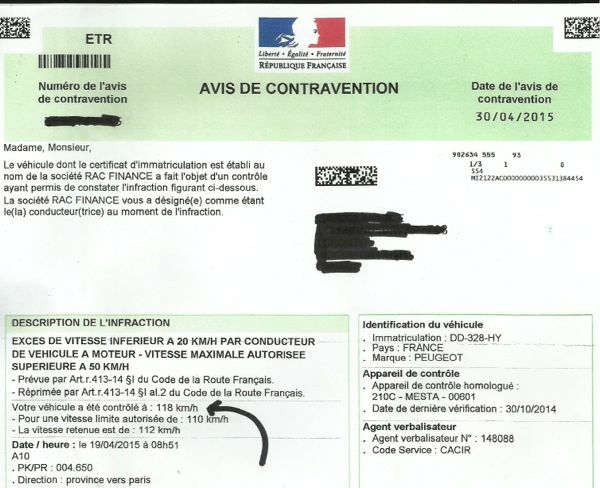 So far I have gotten one notice from the French government saying I was going 118 km in a 110 km zone. If I pay within 46 days the fine is 45 Euros. After that the fine goes up to 68 Euros (47-76 days) and 180 Euros (over 76 days). The good (?) news is that there is an English website that makes it easy to pay using your credit card (https://www.amendes.gouv.fr). The other ticket might not be for speeding; however, it probably is. I have no idea at this point how much I will owe in the end; however, from all the reading I have done, it will be best to NOT ignore the ticket. When I return to France I do not want any problems. Note: I am NOT a speeder! I am (usually) a cautious driver; however in France they will give you a ticket, even if you are only 3 km/hr over the limit. I could pay with a “Timbre-Amende”. Hmmm. A stamp. I was told I needed to go to a Tabac (store that sells tobacco) and buy a stamp from them. It’s a special stamp that is put on the notice and mailed off. Hmmm. Have to find a tabac. Not all tabacs carry these stamps, but fortunately, the second one I went to did. I had to get clarification on whether I needed to put the form in an envelope or not. No, just put another postage stamp on and mail it off! So, I am hoping I did not get a second speeding ticket and the second car rental admin charge is for the parking fine. I hope these events didn’t put a damper on your trip or your memories. Not at all. Just a “blip” in my trip! Wow, hassles galore. But I will not encounter those since I do not drive and my husband is too old (72) to rent cars. But those photo radars are here in Phoenix, too. $275 was the fee! Much higher than in France! You and he have to learn driving a little under, not a little over the speed limit! $275, yikes! I’m now gun-shy about renting cars. But that won’t last long. I love to drive in Europe! Thanks for the advice. Last time we were in Italy everyone drove way over the speed limit. That was a few years ago so I’m not sure what it is like now but it was almost impossible to stick to the speed limit when absolutely no-one else did – particularly through the almost endless road work zones. I haven’t driven in Italy for many years but I’d imagine they’ll get into more photo radar too. It’s a great revenue generator. We just rented a car in Portugal and are in for a steep learning curve which involves navigating the roundabouts, making sure we don’t go the wrong direction down the one way streets, and figuring out where we’re going . I swear we really could genuflect before our GPS which keeps us moving in the right direction! And then there’s the reacquainting ourselves with the manual shift on steep hills never mind the parallel parking. And of course those ubiquitous safety cameras … I’m amazed at how fun it is! I love driving standard and doing the roundabouts. So much fun and no “stop and go”! I also heard putting the car on cruise control really helps one avoid going over the speed limit. So sorry that you got caught…for what seems to be a relatively small infraction. You are brave to drive around Paris! I haven’t driven in Europe in a couple years ago but will be this summer so this is a good update to keep me out of trouble. I have to confess that I am a speeder so will work on reforming myself ahead of time! Ha ha. You made me laugh. Maybe I do have a “lead foot” after all. Good luck! Be warned: if you live in Europe and get a traffic ticket in Europe, they’ll send it to you at home. The countries share information. The problem is that it can take MONTHS. We received one a full six months after our trip in Italy, and it was all in Italian! And not at all cheap. So just don’t do it! I did not enjoy driving in Italy. Got lost so often. 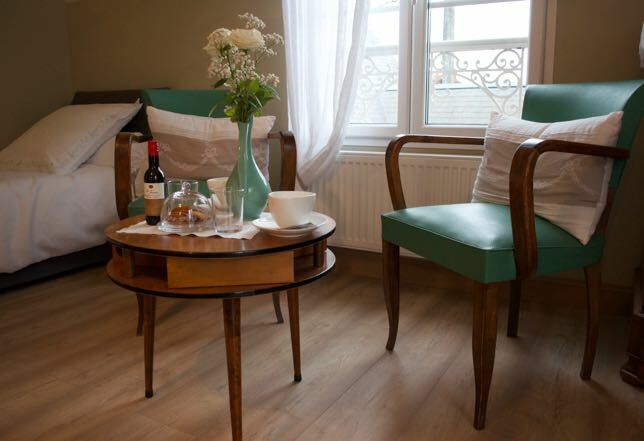 But France….feels like home to me! Wow 118 in a 110km zone…picky picky! Good to know it works that way in France. In Calgary most drivers think 110 means go 118. At least the ticket was not too expensive. We do love the freedom of driving when we’re in Europe. Wow, you are braver than me, but I should take note from your gung-ho-ness! Shame you had some hassles but good on you for getting on with it. 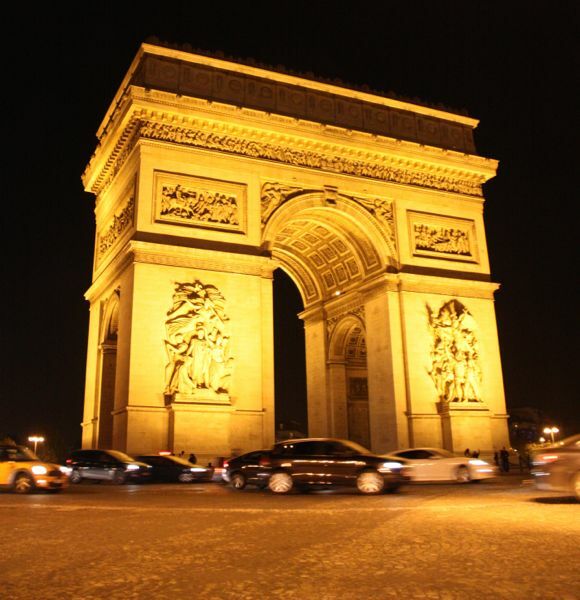 Driving around the L’Arc de Triomphe – you deserve a medal! Have fun and keep on keeping on! Thanks! Have decided that not everything goes smoothly when one travels, so I might as well just “go with the flow”. Your post is making me feel even more firm in my intention to rely on public transportation in Europe. All Americans contemplating driving in Europe should read your post. I hadn’t done any long distance driving by myself in the US for quite awhile until a few months ago. When the speed limit was 65 MPH, everyone was going 73 MPH or faster. When it was 55, everyone was going 73 MPH or faster—i.e. almost 20 miles per hour over the speed limit. 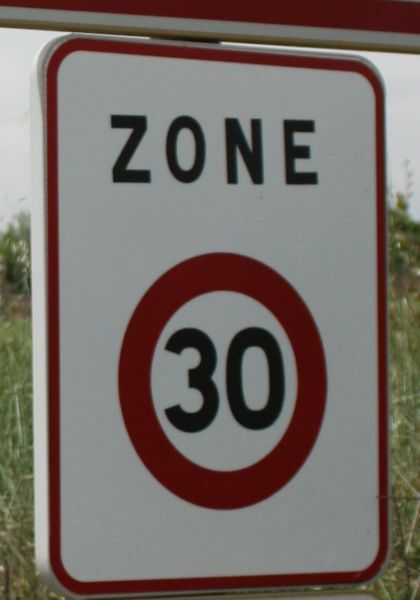 We spend summers in a New Jersey beach town where a good deal of the town’s revenue is garnered from out of towners who don’t realize that they’re serious about their 25 and 35 MPH speed limit zones. Wow! 20 miles over the limit is a lot. In France there are so many places that one really needs a car (ie. Provence) and I guess until I can’t drive anymore, I think I’ll continue to drive in Europe. I’m just a little gun shy right now! It sounds like they’re issuing tickets via radar cameras. In the US you actually have the right to contest these as sometimes the equipment isn’t calibrated properly. We hate these as it’s hard to pinpoint the moment weeks or even months after the fact to figure out if you really were exceeding the limit. Technology has it’s issues. So true. The ticket showed the date and time and I was on the highway as stated, but have no other information than that. 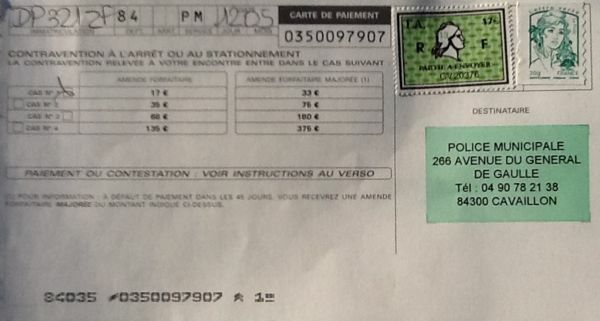 I recently got a follow-up bill from Europcar for $146 Euros which included all those excluded charges. Boy, do they nickel and dime you. There was also an administrative charge for a report to the police – apparently for a traffic violation. I’m hoping that I can appeal the charge and at least see their “photographic” evidence of my violation. I live in Texas and the cops here are pretty strict, but they don’t even give you a ticket unless you are driving way over the speed limit and often they just give a warning. I’ll take Texas over France any day. I appreciate your comment and feel for you. Guess you wish it had been US dollars rather than EUros. Sadly I think there are more and more radar traps happening in France. I am now so cautious about going over the limit…even by a bit. Best of luck with your appeal.